The Waterhog Inlaid Logo Mat is a top seller at Commercial Mats and Rubber.com. 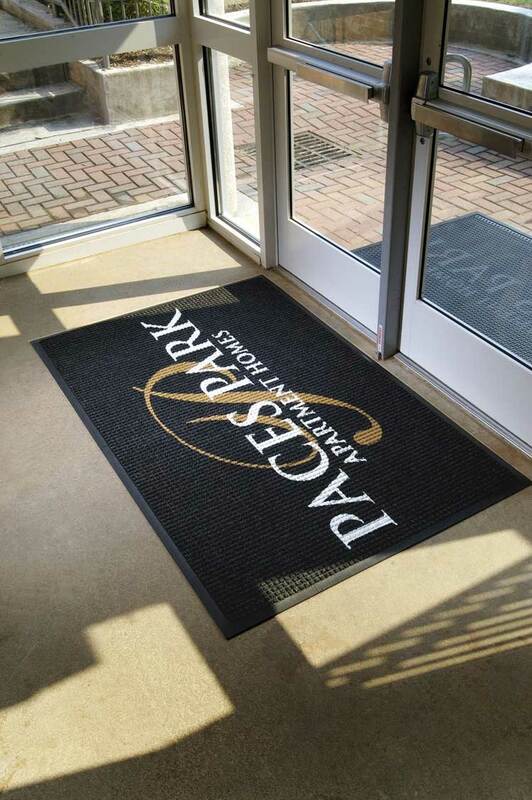 These custom logo Waterhog mats are the same quality 100% polypropylene and rubber backed material as our Waterhog Classic Mats, but you can add your own custom business logo or text! This Waterhog logo mat works for indoor or outdoor use, holds up to 1.5 gallons of liquid per sq yd will hold up longer than your standard entry mats. 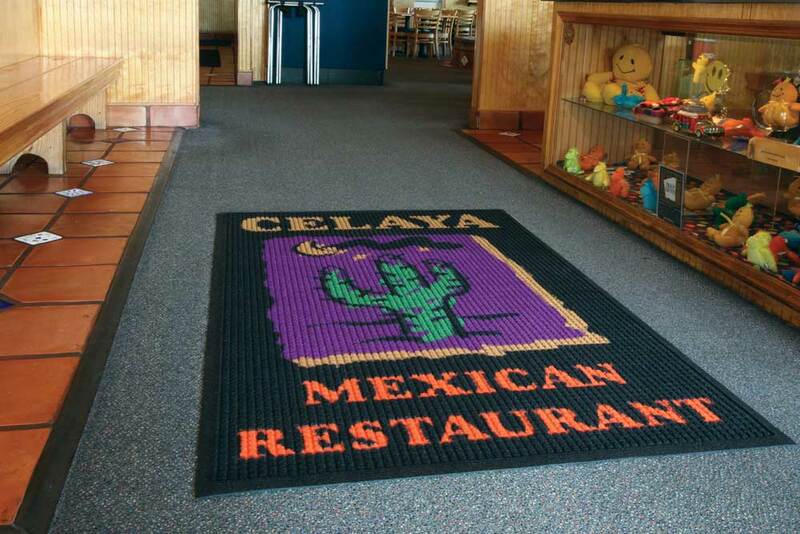 These logo mats for business allow you to choose from a black rubber edge or matching fabric border for a less industrial look. Designs are created using a unique inlay process that can include up to 18 colors per mat at no additional charge. 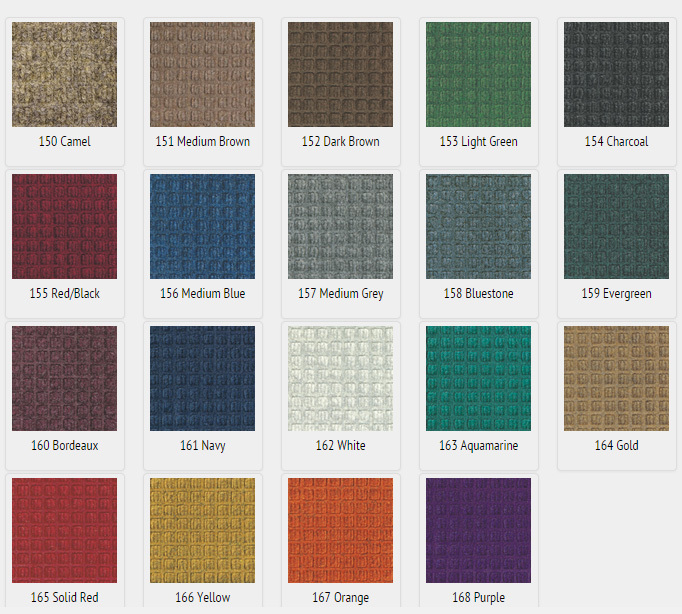 3/8" thick, 100% UV resistant polypropylene fabric for indoor and outdoor use. Intended for use in wet entryways where snow and rain is prevalent. Also works as a great scraper mat in dry conditions indoors or outdoors.